Rama-Tut | Magazines and Monsters! This issue holds a ton of sentimental value for me. 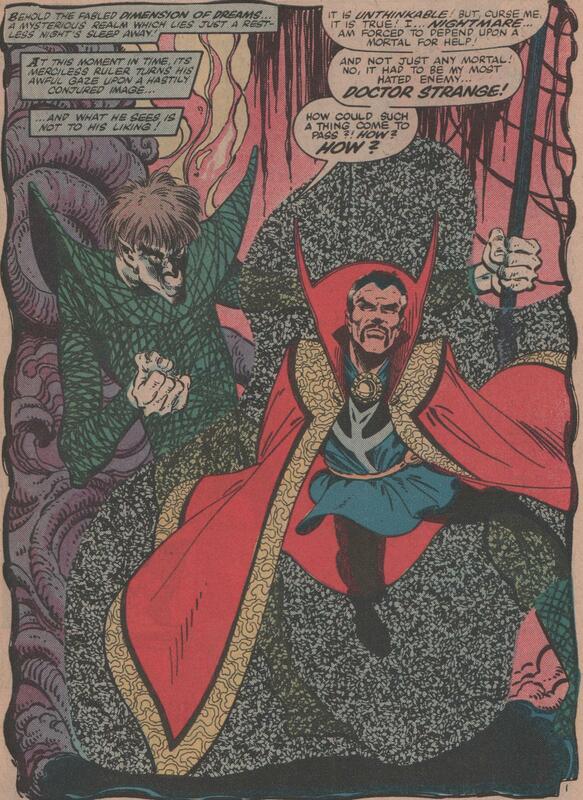 It was the first Doctor Strange comic I bought back in the day, and it blew me away. I always thought the Fantastic Four was a good team, so when I saw them on the cover, that was enough to entice me into buying the issue. 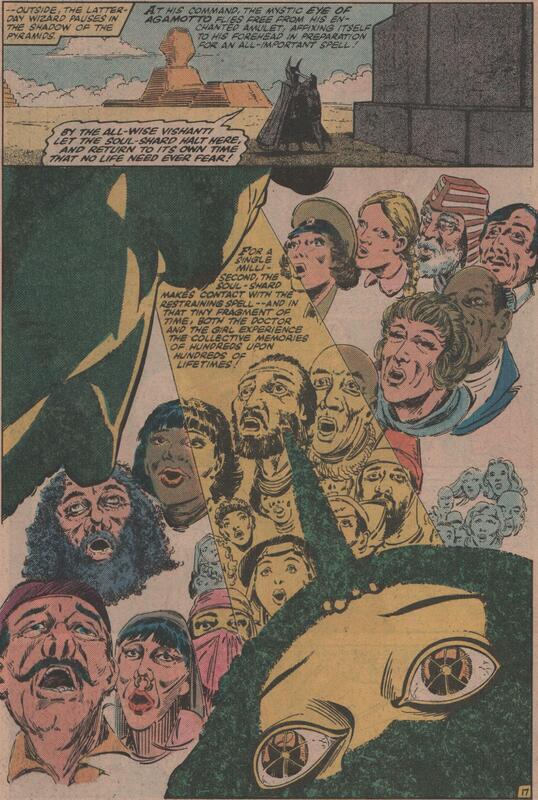 Marvel using guest appearances wasn’t new, but this story had a twist. 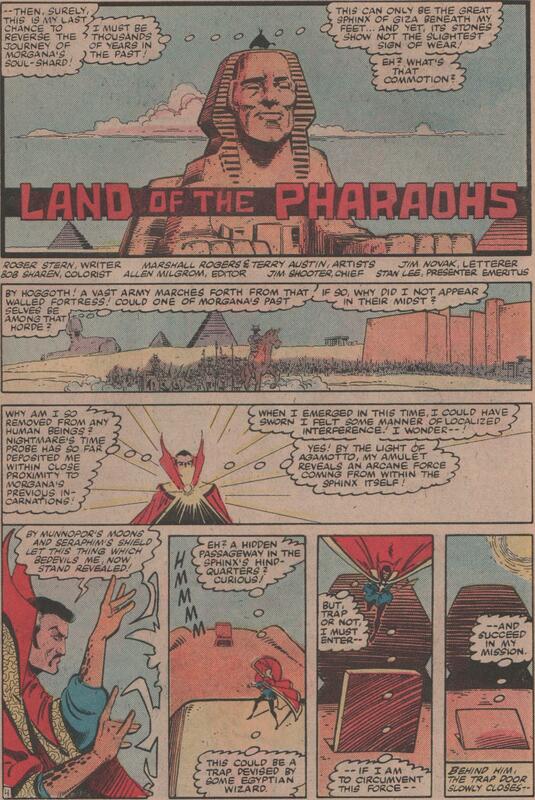 The Doc traveled back in time to check something out, and wound up witnessing the FF battle the “Pharaoh from the Future,” Rama-Tut. 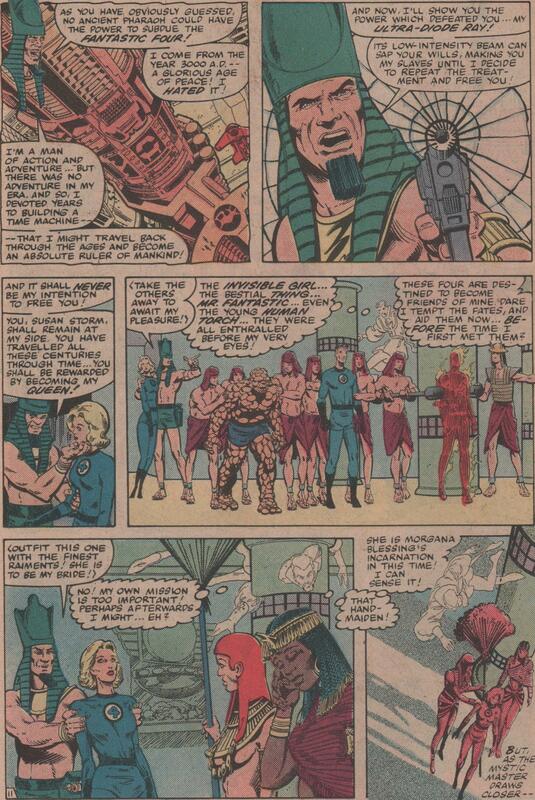 Now today, we all know that Rama-Tut, Kang, and Immortus are all the same man, just at different points in his life. This character is one that I absolutely love, and for a myriad of reasons. First, he’s ruthless, and will do whatever it takes to get the job done. Secondly, he’s taken Thor’s best shots, and still keeps coming back to get what he wants. And, well, you get the picture. I’m in love with rapacious conquerors! 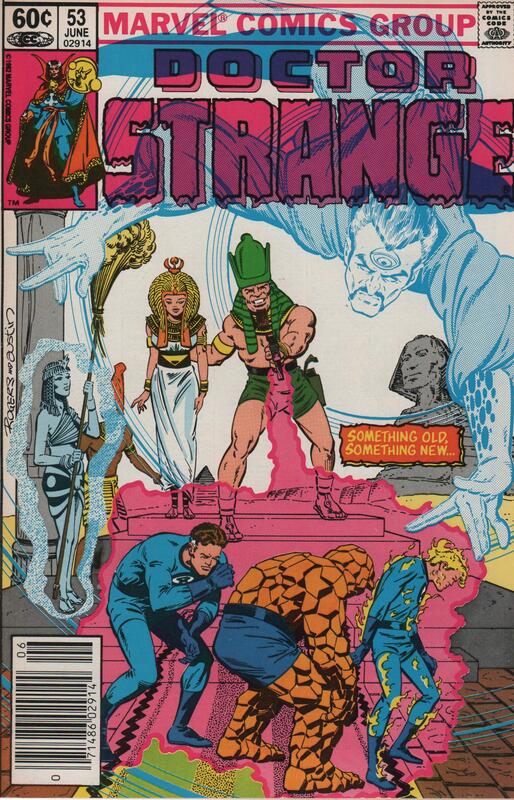 The title had recently taken a turn with its creative direction, and who better than to usher in something new than Roger Stern (writer), Marshall Rogers (pencils), Terry Austin (inks), Jim Novak (letters, and a hold-over from the last team), and Al Milgrom (editor)! This new group set out to do something totally different, and they sure made good on that! The first thing they did was to have Clea dump the Doc! Now, it’s time for you to enjoy some great work by the creators!